A great performance is always pretty impressive. 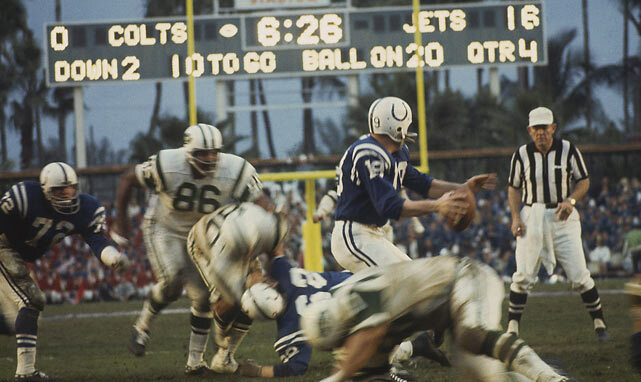 If you are an old-school NFL fan like me, you remember the AFL New York Jets upsetting the mighty NFL Baltimore Colts back in January 1969. Both teams were champions in the Leagues, but only one could win the Super Bowl. With its inherent dangers and the high risk of injury, the NFL has become our modern equivalent of the gladiators in ancient Rome, because players literally put their bodies on the line to try to win championships. Toughness in the NFL (and in many professional sports) means that men will play through pain and injury to achieve glory, and fans look upon them as heroes for staying on the field of play even when they are put through tremendous physical stress. I was trying to imagine what those players headed to the Super Bowl were doing and thinking, making the final preparations for their huge moment in the spotlight, when they would be putting their training, their skills, and their determination on the line for team and personal glory. Would they be fine-tuning their technique, confident that they have prepared physically in every way? Would they be visualizing success, or meditating on their assignments? Would they succumb to outside influences, or be distracted from their goal by all of the hype? What kind of performance would they give on the biggest stage of their careers? I was reflecting on the adulation and status we confer on such men, in some cases rightfully so, because they are men who work hard, who are committed to a goal, who embrace team virtues, and who put themselves at risk to attain glory. People are so fanatical about their teams that we call them “fans”, because they follow and support their athletes with passion and emotion. 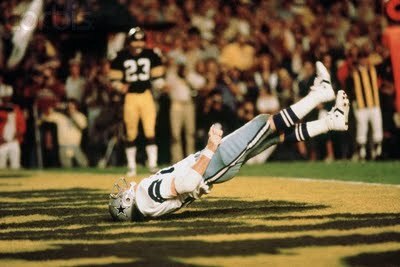 I know there are still Cowboys’ fans who still are STILL mad that Jackie Smith had a poor performance and dropped a wide open pass against Pittsburgh in 1979! Based on the effort and the risk and the high stakes involved, it seems natural to us that the men who make such preparations and take such risks should be considered heroic. Their performance certainly has a lot riding on it. Jesus knew what was coming, and he knew the price he was about to pay. I’ve often thought that the fact Jesus knew he would be resurrected from death did not diminish the pain and agony he faced, the devastation of being separated from the Father. And I don’t want to sound like I doubt God’s power or plan, but I’ve always thought that BEFORE the cross, God had never experienced death, so that there had to be some sense of risk involved… what if it didn’t work? What if something went wrong? Two things: if you are willing to be fanatical about an athlete who gave his greatest performance in the biggest game, then think about Jesus, and become a fan. He thought about you. Second, take a moment to reflect upon the fact that he prayed for you: Be worthy of that prayer! You, too, are playing in a high-risk game, and it has nothing to do with football. Between two groups of men who play a game? When one competitor had to be his best. And showed mankind the ultimate sacrifice. And he competed right until the end. I’m proud to call him Savior, Lord, and friend. He won the ultimate game, and I’m a fan.